You´ll feel confident taking it everywhere as it doesn´t look like a mattress. Multipurpose and chic. Show it off! Baby will love it: it matches the density and firmness of a parent´s chest, baby´s favorite place to sleep. 0 - 8 years old. 3 products in 1: newborn, play yard, and nap mat for big kids. Accommodates two children: a toddler can use the three panel section and a baby the one panel section. Top quality high resilience foam: it will not suffer indentations or lose its shape. Patented (US D685,211). Safe for baby & home, free of all toxic chemicals & flame retardants, exceeds all US safety standards. Removable and washable cotton slip-cover. 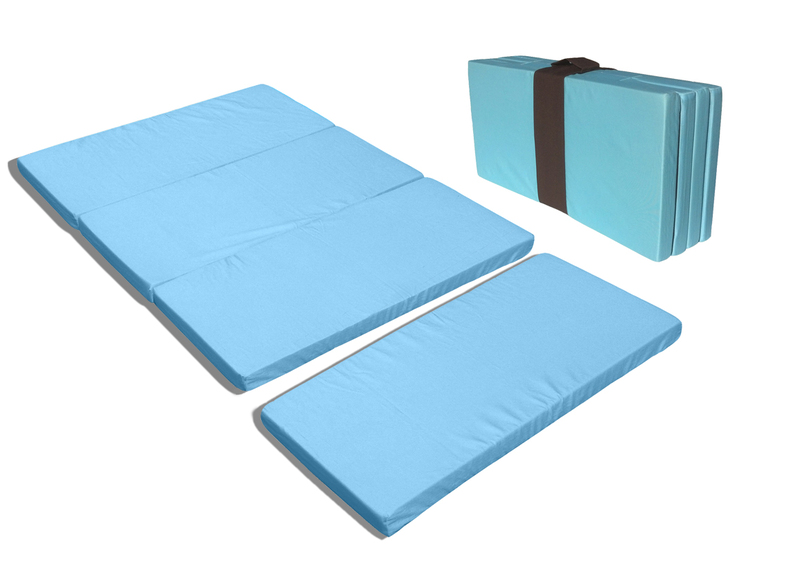 Unzip removable panel and use as a nap mat, a changing pad, a tummy time or after bath mat. Also use it as a nap mat to elongate the short airplane seat. Inside play yard: transforms your play yard into a cozy crib. On top of the play yard mattress (in bottom or in bassinet). Outside play yard: for tummy time mat, changing diapers, playing and tumbling about, under play gym or baby jumper, as a toddler bench when folded and more. Fits perfectly in all standard play yards. Graco, Chicco, Nuna Sena, Boppy, Eddie Bauer, Evenflo, Baby Trend, Safety 1st, Arms Reach Original, Aprica, Cosco, Combi, Boppy, Nature's Purest Comfort, Bright Starts and more. However, it does not fit the non-standard sized play yards like 4Moms Breeze, Maxi Cosi, Phil & Teds Travel Cot, the Nuna mini, Graco Travel Lite, Guava GoCrib, I´coo Panama, Totally Scrumptious by Heidi Klum, Safety 1st Prelude Sport, KidCO Travelpod Portable Bed, or Parentlab JourneyBee Portable Crib. If your brand is not listed, please click here to contact us, and we will check for you.